Enjoy a night out at the movies! Both physical tickets and digital tickets (Event cinemas only) are available. Discount tickets are available for Ace, Event, Hoyts, Grand and Palace cinemas. Save when ordering with Westclub! Order tickets online or via phone/email, and they will be posted to you. View Westclub ticket prices here (subject to change). Click here to visit the Westclub online registration page. Select "SSTUWA" in the "Which club/organisation do you belong to?" field. Select the "Browse for discounted tickets" button at the bottom of the page. Do not select "Proceed to payment". You do not need to sign up to Westclub to access these discounted tickets. Select the tickets you'd like to purchase and follow the instructions to pay online. Visit the Discount Tickets tab and place your order. Please advise that you are a member of the SSTUWA when you place your order. 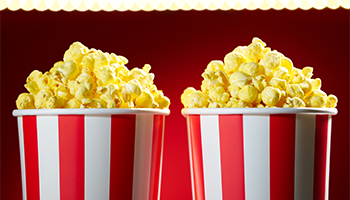 Access great deals on tickets to Event cinemas with Australian Unions movie vouchers. These digital vouchers are sent by email and accessible on your computer, mobile and tablet. Where possible e-vouchers are delivered instantly to your email, though be aware that orders can take up to 24 hours to process. You must register with the Australian Unions website to purchase digital tickets.